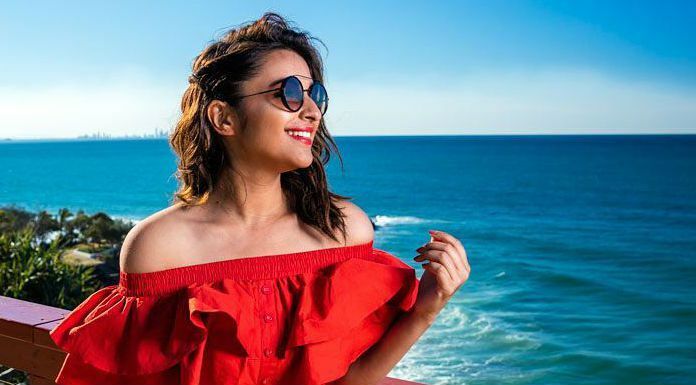 Parineeti Chopra is an Indian actress best known for starring in films such as Ishaqzaade (2012), Shuddh Desi Romance (2013), Hasee Toh Phasee (2014), and Golmaal Again (2017). Her performance as Zoya Qureshi in Ishaqzaade won her a National Film Award in Special Mention category. She is one of the highest paid actresses in Bollywood. In addition to acting, she is also a celebrity brand endorser and a playback singer. Parineeti Chopra was born on October 22, 1988, in Ambala, Haryana, India. She is currently 30 years old. Parineeti Chopra comes from a wealthy family. Her father, Pawan Chopra, is a businessman and supplier to the Indian Army at Ambala Cantonment and her mother is Reena Chopra. She has two brothers: Shivang and Sahaj Chopra. Her cousins are actresses Priyanka Chopra, Meera Chopra, and Mannara Chopra. Parineeti attended Convent of Jesus Mary in Ambala for her formal education. She later earned a triple honours degree in business, economics, and finance from Manchester Business School in the UK. She also holds a B.A. Honours in music. Parineeti Chopra has been dating her alleged boyfriend Charit Deasi for over two years. They both met during the Dream Team Tour in 2016. They attended Priyanka Chopra – Nick Jonas wedding together and cherished every bit of the festive. She first acted in the 2011 romantic comedy film, Ladies vs Ricky Bahi as Dimple Chaddha. She won the Filmfare Award for Best Female Debut for her role in the film. She debuted on television as Mentor on the singing reality show, India’s Best Cinestars Ki Khoj in 2014. As a singer, she made her debut with the romantic drama film, Meri Pyaari Bindu, opposite Ayushmann Khurana in 2017. She played the lead role of Bindu, an aspiring singer, in the film and sang two versions of the song “Maana Ke Hum Yaar Nahin”. Parineeti earned widespread acclaim for playing Zoya Qureshi in the 2012 romantic thriller film, Ishaqzaade. A role that earned a National Film Award in Special Mention category and was nominated for Filmfare Award for Best Actress. Her other notable works in film include Shuddh Desi Romance (2013), Hasee Toh Phasee (2014), and Golmaal Again (2017). She has endorsed the following brands Kurkure, Nivea, Maaza and Spinz, WeChat, Pantene Mahindra, Coke, and PepsiCo. She has an estimated net worth of US $7 million. She takes home 3-4 crore every film and also makes a huge deal of money with brand endorsements. The rise of the Bollywood beauty is evident that she was paid around Rs 90 lakhs in her early days and today, she is one of the most sought after actresses in the industry. Her net worth has skyrocketed in recent years and is estimated that her wealth will see a growth of 40-45% in the next few years. Parineeti owns a couple of expensive cars including Jaguar XJL and Audi Q5. She owns a sea-facing flat in Bandra, Mumbai, Maharashtra, India (Worth Rs 3.2crore). Parineeti wanted to become an investment banker at a young age and pursued a triple degree in business, finance, and economics from Manchester Business School. She began her career as a PR consultant for Yash Raj Film productions. The damsel was subsequently offered roles in movies that marked as a stepping stone in the film career. She apparently took up her career in acting due to the recession in 2009. In 2011, the actress appeared on Verve’s “most powerful women” list. The gorgeous actress is the recipient of several accolades, including a Filmfare and National Film Award. Chopra played Khushi in Rohit Shetty’s comedy Golmaal Again, the fourth installment in the Golmaal film series in 2017. The film was commercially successful at the box office, grossing ₹311 crore (US$43 million) and thus becoming her highest-grossing film to date.